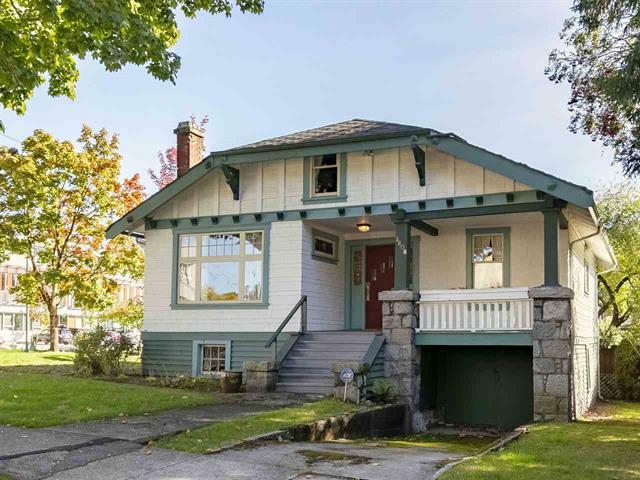 Kitsilano starter home on a quiet corner lot. Current 3 bedroom home is approximately 2,100 square feet including the unfinished basement. Lots of character still intact including oak hardwood floors, millwork, wainscoting, stain glass windows and coffered ceilings. Lovely oversized covered front porch. Corner 61' x 61' property offers lots of options including a renovation, re-build or long term investment. Good location near schools, Broadway shopping, transportation, parks and all that Kits has to offer. Priced well below current assessment of $2,481,800.